This year Uzbekistan marks 27th anniversary of independence in. 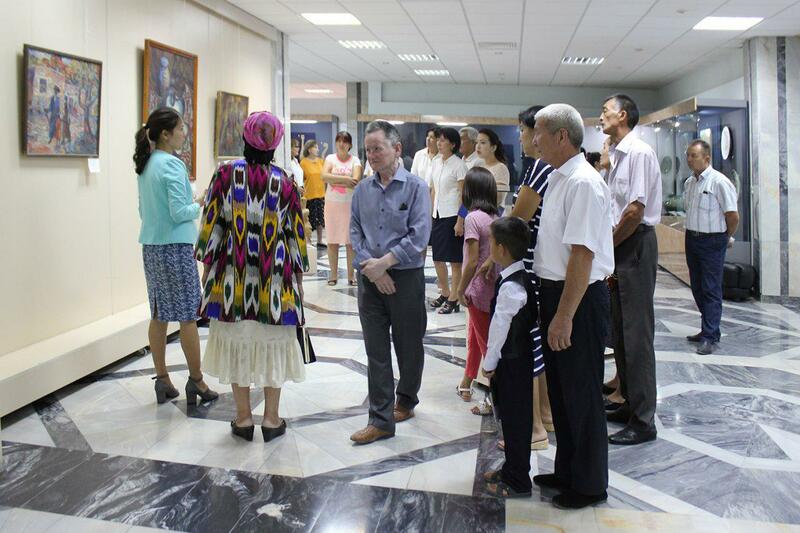 In connection with this significant date the State Museum of Arts of the Republic of Karakalpakstan named after I. V. Savitsky has opened the exhibition entitled “Image of the homeland in the symphony of colors”. The exhibition presents more than 50 works by karakalpak artists from the museum’s collection. The purpose and objectives of this exhibition is to raise the level of culture of the population, to raise the level of knowledge about the karakalpak fine arts, instill aesthetic taste in the perception of art, nurture a sense of patriotism towards his homeland. The exhibition demonstrates various genres of fine arts - landscape, still life, thematic painting which are done using different styles and directions. Each painter is identified by a peculiar manner, an individual approach. But all of them are united by their love for their homeland. Homeland is an endless theme that remains to be exciting for artists for centuries. Showing feelings of admiration, tenderness towards native land, traditions, customs, to people, each of the presented artists finds his artistic means, stylistic techniques in order to convey their feelings, thoughts, and ideas. 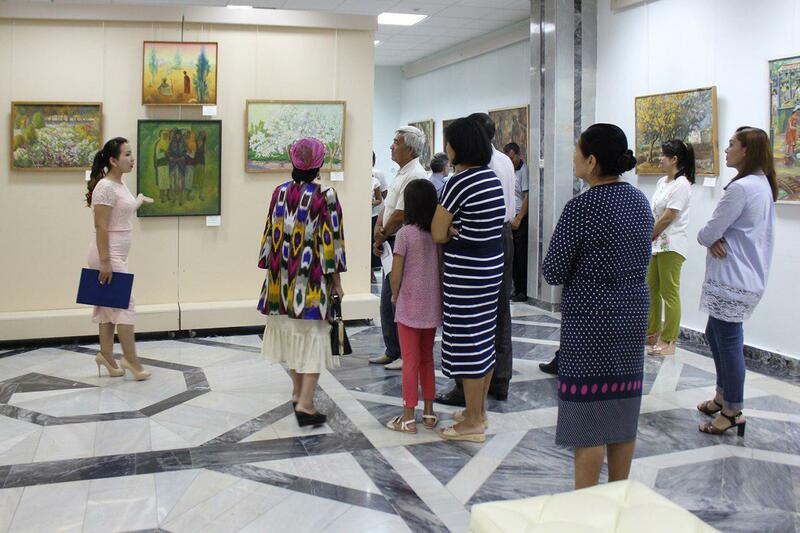 Works of artists of J. Lepesov «Autumn», I. Savitsky «Flower garden», B. Serekeev «Spring», R. Matchanov «After the rain», A. Seytenov «Song of shepherd», and others depict the beauty and originality of the modest nature of Karakalpakstan with its bright sun and extraordinary transparency of air. 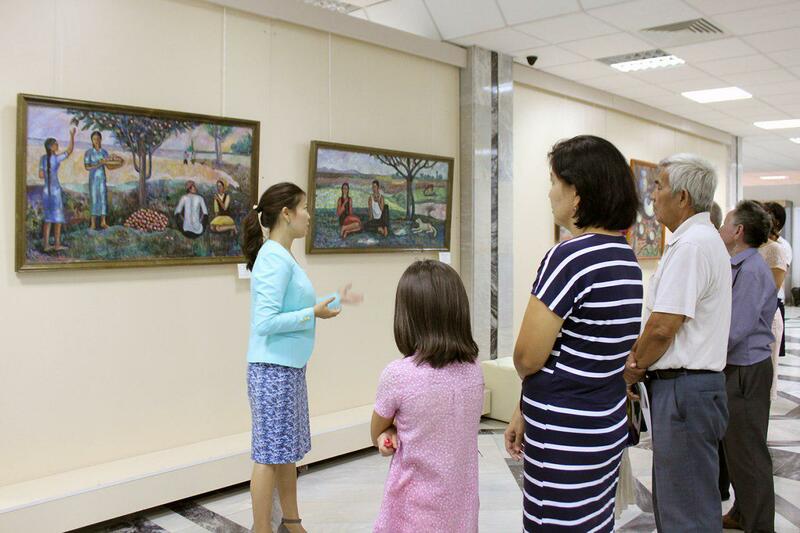 Thematic works of artists J. Bekanov «Bride», Z. Jumabaev «My childhood», A. Seytenov «Song of shepherd» with amazing warmth and penetration reflect the love of artists for the traditions and customs of their people. Still lifes of B. Serekeev «Still life with milk», P. Jumaniyazov «Still life with onion», J. Aytimbetov «Still life lunch of peasant» also reflect the authors’ admiration for the gifts of nature of their homeland. Admiring the works of artists reflecting the beauty of homeland, traditions of the people, a person isn’t only spiritually enriched but also filled with awareness of the uniqueness of his homeland filled with a sense of patriotism.